There are so many biographies, memoirs, and diaries out there, and so many essential and influential people who have actively shaped our world that, really, choosing the books for this list took us a lot more time than actually writing it. In the end, we longlisted so many books that we decided to leave out some of the more usual suspects. In our defense: we have included each of them in some of our other lists; and you can read our opinion about them there. Of course, we’re talking about classics such as “Titan” and “Elon Musk” (featured in our top business books list, at #3 and #4), “Alexander the Great” (#3 in our top history books), or our personal favorite, Skidelsky’s “John Maynard Keynes” (#4 among our top economics books). And even with these four out of the picture, it took some time to settle on the following 15. So, who knows, maybe we won’t resist the urge to make an additional best biographies booklist! But, until then – here are our top biographies books. Suetonius (full name: Gaius Suetonius Tranquillus) lived through the last third of the first and the first third of the second century after Christ. He was a close friend of Pliny the Younger and for the last few years of his life worked as a private secretary to Hadrian (yes, the emperor with the wall). 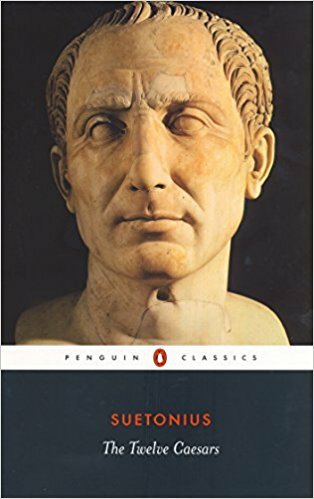 The leaders whose lives are covered by Suetonius are the following: Julius Caesar, Augustus, Tiberius, Caligula, Claudius, Nero, Galba, Otho, Vitellius, Vespasian, Titus, and Domitian. And the order in which each biography is retold illustrates Roman discipline at its best: appearance, omens, family, quotes, life. You’ll find everything here: decadence and lewdness, greatness and madness. And oh so much ancient purple-prosed yellow press! They say that the Renaissance was a period which required giants to happen at all; and it was giants it got. 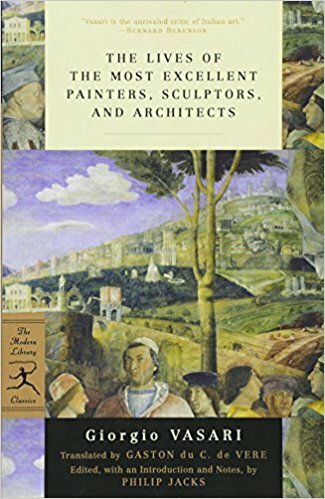 And in Giorgio Vasari’s “Lives of the Most Excellent Painters, Sculptors, and Architects” it also got their dedicated official biographer. Considered by many “the first important book on art history” and “perhaps the most famous, and even today the most-read work of the older literature of art,” “The Lives” would prove to be Giorgio Vasari’s most lasting monument; and this speaks volumes of the importance of the work; because, you see, Vasari, like most of the people he wrote about, was also an accomplished architect and painter. The list of the Old Masters whose lives are concisely recounted by Vasari is too long to be included in a short review, but, let’s just say that if he’s an Italian and an artist with some fame before 1568 – you’ll definitely find his biography here. Interspersed – why, of course! – with some entertaining gossip and a notorious lie or two. 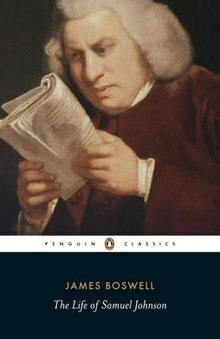 Considered by most historians “the first modern biography” in the English language, “The Life of Samuel Johnson” is hailed by many as the greatest biography ever written. 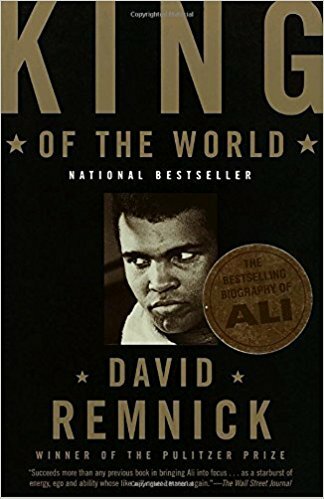 A colossal work of almost 2,000 pages, the book combines three things that seem prerequisite for the greatest of biographies. Namely: a fascinating man, a religiously devoted close friend of his, and an exceptionally capable diarist. Of course, the first of these three descriptions refers to Dr. Samuel Johnson, “arguably the most distinguished man of letters in English history”. The foremost English critic of his time, Johnson was also a genius lexicographer who singlehandedly wrote one of the best dictionaries of the English language. And he did it in merely eight years! 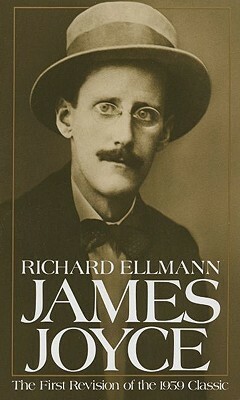 We dare you to find a best biographies booklist where you won’t find this one. And ours will certainly not be the exception. Another classic – and another group biography! Lytton Strachey was one of the founding members of the Bloomsbury Group, an intellectual clique which existed during the first half of the 20th century, and which, in terms of its unconventionality, sexual freedom, and sheer creativity, may have no parallel whatsoever in all of human history. In fact, their behavior may seem scandalous even today; and their ideas are still widely studied and admired. Written during the years of the First World War, “Eminent Victorians” was such a sensation that brought Strachey instant fame. 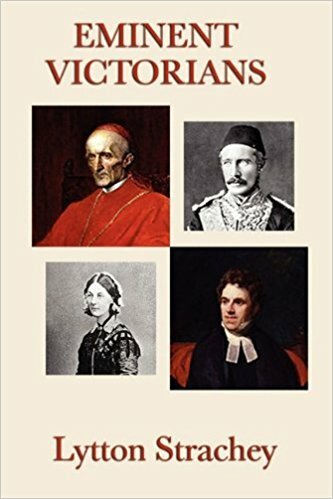 The book deals with the lives and deeds of four Victorian figures (Cardinal Manning, Florence Nightingale, Thomas Arnold, and General Gordon) considered epitomes of moral virtue before the book; but, not after. That’s, in fact, why the book is praised so much even a century after it was first published. Because, if James Boswell’s biography was a work of devotion, Lytton Strachey’s was a work of irreverence. And the best of today’s biographies have a little of each. If you know Richard Ellmann only by his works, you’ll probably never guess that he’s an American, let alone the son of a Jewish Romanian and a Ukrainian immigrant. Because, basically everything he ever wrote was either an essay, a critical study, or a classic biography on one of the three most eminent Irish writers of the modern age, Oscar Wilde, William Butler Years, and James Joyce. Written over a period of ten years and over 800 pages long in its final revision, the book is a fresh, earnest, and critically penetrative insight into the mind and the work of possibly the most influential writer of the 20th century. But, also – just so you don’t feel too diminished in comparison – a man with many flaws and some pretty strange sexual fetishes. Possibly the most famous autobiography, “The Diary of a Young Girl” is also one of the most gut-wrenching and heartbreaking stories ever put on paper. It’s a book you certainly already know all too intimately to require a list of accolades as evidence for its place here. But, even so, in the face of so much stubborn historical revisionism, we feel obliged to at least link a few inclusions of Anne Frank’s “Diary” among the top books of the 20th century, whether they come by way of a nation-wide UK survey, New York Public Library’s estimations, or the general world public’s ratings. And because it’s the book everybody should reread in its entirety from time to time. So as we never forget how cruel humans can be to other humans. And, maybe, some day in the future, learn to be somewhat better to each other. No, it’s still not the right time to rise above the depths of despair. 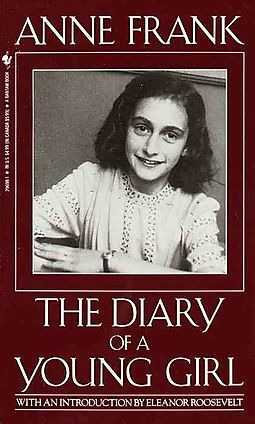 Anne Frank’s “Diary” may be the most famous book on the subject, but it’s only one of many. And we wanted to be just to the victims and witnesses of one of the most horrifying events in human history; since, destiny, obviously, wasn’t. And, according to Elie Wiesel, a Romanian-born American Jewish writer, God wasn’t as well. 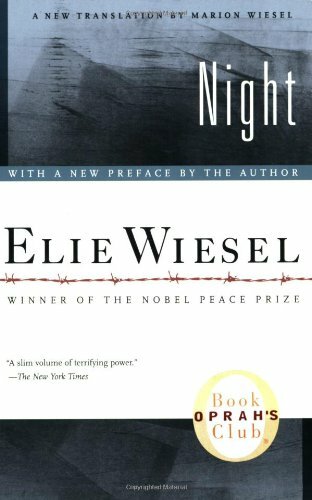 In “Night,” a severely abridged version of an almost 900-pages-long manuscript in Yiddish, he writes about his experiences as a prisoner in Auschwitz and Buchenwald, during the last two years of the Second World War. Born in 1928 and barely half a year older than Anne Frank, Wiesel – later a Nobel Peace Prize winner – was just fifteen when he and his family were deported to Auschwitz. There, among many other things, he became a father to his father, who was, in turn, reduced to childlike helplessness in the face of this tremendous adversity. His father, just like the rest of his family, died. Wiesel survived. To tell his story. And the man most people hold responsible for the death of Anne Frank and Elie Wiesel’s family? Adolf Hitler, Nazi Germany’s dictator during the Second World War. Fascinating for all the wrong reasons, the Führer has inspired so many books that Wikipedia has a separate article about them. However, at least in the English-speaking world, many would probably agree that Sir Ian Kershaw is the foremost expert on Hitler and Nazi Germany. And that his “Hitler: A Biography” is the definitive one-volume account of his life. 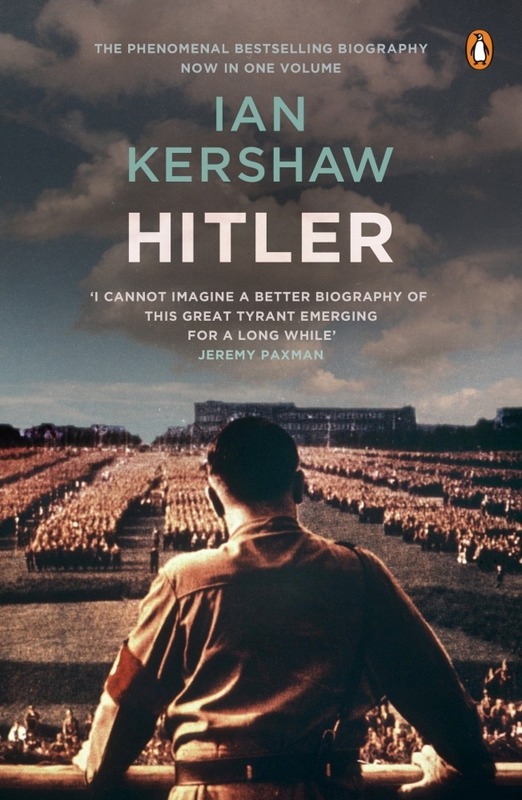 The book is, in fact, a compilation of few other books that include “Hitler” in their titles and that Kershaw wrote during a period of almost four decades. “New York Times” described it as “superb”; and Niall Ferguson called it “magisterial”. Over 1,000 pages long and breathtakingly remarkable from start to finish, “Hitler” is also fully illustrated, including over 150 wartime photographs and 8 more than useful maps. You’ve guessed it: a must-read. Another biography written by a person exceptional enough to be knighted about a man with as many chivalric orders as you’ll ever see put next to a name. And it’s only natural that we follow up Sir Ian Kershaw’s account of Hitler with Sir Martin Gilbert’s biography of his nemesis, Churchill. A prolific author of nearly 90 books, Gilbert is deservedly most famous today for his eight-volume biography of Sir Winston Churchill, expectedly voted the Greatest Briton in history in a 2002 BBC poll. 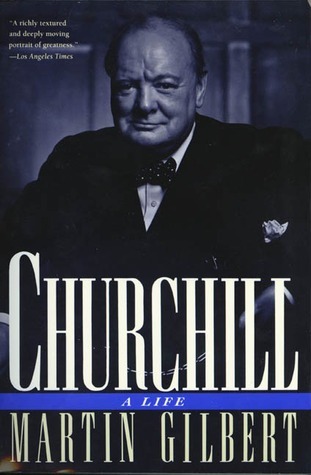 But, just like in the case of #8, we don’t want to bother you with such an epic – although, people say it’s more than worth it – so we list here “Churchill: A Life,” the boiled-down version of the complete chronologically broken-down biography. It’s still gigantic (1,000 pages), but, it’s about one of the giants of the 20th century. However, it’s so dramatic and intimate, and so vividly written, that you won’t be able to put it down. Like this summary? 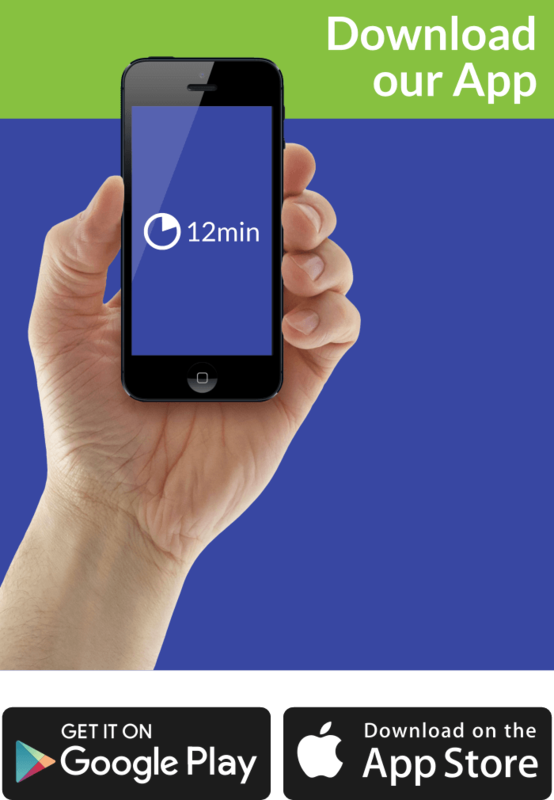 We’d like to invite you to download our free 12 min app, for more amazing summaries and audiobooks. Of course, there are always good things happening around; and this seems even truer in the case of the worst atrocities. So, while politicians and soldiers were struggling to save what they could from the world they had senselessly plunged into two ravishing wars beforehand, scientists and artists were silently trying to change our whole perception of it – and, with it, ourselves as well. Albert Einstein, a German-born theoretical physicist, is widely held to have been the man who spearheaded the most groundbreaking scientific revolution of the 20th century. 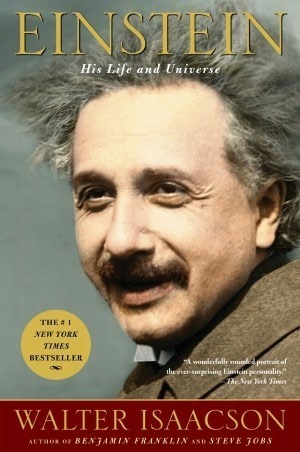 His theory of relativity challenged basically everything we knew about the world. And, just like in the case of Boswell, transformed Albert’s surname into a common noun. What made him one is the question the acclaimed 2008 biography by Walter Isaacson tries to answer. And, in a way, it does – in Isaacson’s clear and witty style we have grown to love so much over the years. 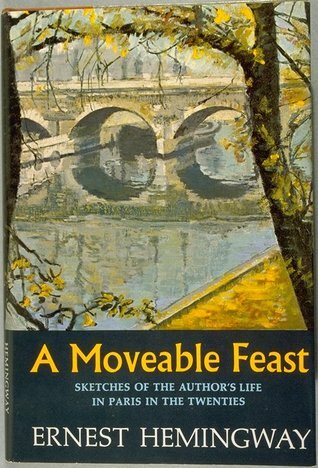 One of the most widely read and as widely loved American authors of the 20th century, Ernest Hemingway, didn’t live to see his Paris memoir “A Moveable Feast” published and showered with praises by literary critics and general readers alike. As it’s already known, he shot himself in the summer of 1961, some three years before his fourth wife Mary Hemingway allowed the publication of his manuscripts. And, boy, what a great service she did to everyone enamored with Hemingway or Paris. Not to mention modernist literature or the roaring twenties! Detailing his time as an expatriate in France between the two World Wars, this memoir is basically a who’s who in the world of Anglo-American emigrants. On its pages, you’ll find everyone from Joyce and Stein to Picasso and Pound; and, of course, most famously, the Fitzgeralds. Need we add – there’s also a lot of brew and brawls, and even more scandal and extravagance. And, oh, such gems as hair-growing contest with Gertrude Stein and, well, a different kind of measuring contest with Fitzgerald. We’ll leave it to you to find out more about it. American journalist David Remnick won a Pulitzer Prize two decades ago for “Lenin’s Tomb: The Last Days of the Soviet Empire,” his wonderful historically accurate (and eye-witnessed) account of the fall of the USSR. And in view of this achievement, “King of the World,” written five years later, has remained somewhat in the shadow. Which is a pity, because, as Tim Lewis writes, it may be the best sports biography one can find. The subject is worthy of such description: Muhammed Ali, both a boxing legend and a larger-than-life political activist. One that was about to fly out of its prison cell. 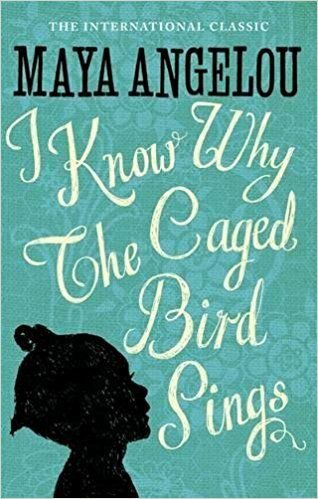 Detailing her life from the age of three to the age of sixteen, “I Know Why the Caged Bird Sings” is Maya Angelou’s deeply disturbing, and yet profoundly inspiring coming-of-age narrative. It illustrates, in captivatingly lyrical language, the traumatic effects which racism and sexism can leave on a black American girl growing up in Arkansas, and the power of poetry which can, nevertheless, provide a reason to stay alive and move on. There are probably few people who can be considered icons of the 21st century as much as Steve Jobs, the co-founder and CEO of Apple Inc. And there is not one biography of his life comparable to the one Jobs ordered himself. 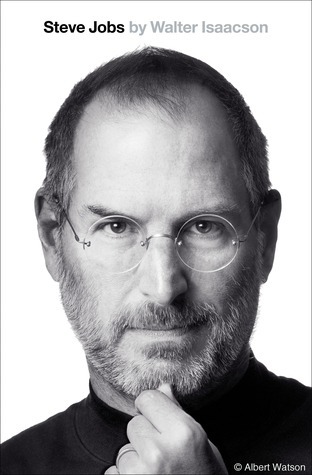 Written by Walter Isaacson, “Steve Jobs” is based on more than forty interviews given by Jobs himself, and hundreds made by Isaacson with at least as many members of his closest and somewhat distant social circles. In addition, Isaacson had an “unprecedented” access to Jobs’ life; and a promise by the man himself that his interviewees will speak to him earnestly. In fact, Jobs was a gentleman enough to waive his right to read the book before its publication; and that finally happened merely 19 days after Steve Jobs decided to, well, log off. The book was turned into a film in 2015. And just as the book, it also received rave reviews. The last book on our list was adapted into a movie as well. Both are good – but, as usually, we prefer the book. 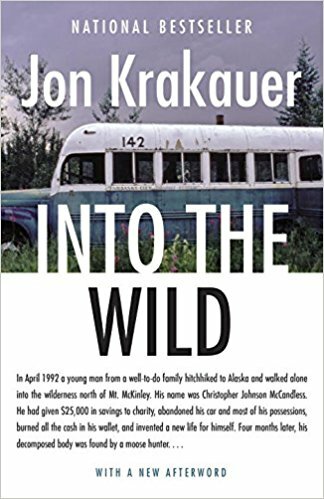 Written by American writer and mountaineer Jon Krakauer and published in 1996, “Into the Wild” chronicles the life and travels of Christopher McCandless who, after graduating from Emory University in 1990, decided to donate all of his money to charity, to change his name into Alexander Supertramp, and spend the rest of his life living as a hiker and traveler. After a two-year journey across North America, he renounced even the remaining few of his earthly possessions. And started living as simply as possible – off the land. Unfortunately, merely four months later, hunters found his decomposing body. Based on its condition, they concluded that he died of starvation. “Into the Wild” tries to understand the logic behind McCandless’ choices. But it doesn’t shy away from giving us a heartbreaking portrayal of a profoundly enigmatic person. Mesmerizing. Learn more and more, in the speed that the world demands. No time to read now? For those of you who want to learn something new daily, 12min App takes you on a personal development journey with the key takeaways from the greatest bestsellers.